The sound coming from the mountains, a melancholy song, a joyous prayer, a dream, a memory: this miraculous place reaching into heaven, I remember it clearly and with as much intensity as I remember the child who cherished it. I think I pronoun-ced its name before my own. A melodious name, a lullaby, evocative of a distant, familiar yet unknown past, a name that soothed even as it inspired awe, especially at dusk when children and wanderers are afraid to stay alone. Seventeen times conquered and destroyed, and as many times rebuilt, this timeless capital of Jewish history has, if we are to believe ancient legends, two faces, two destinies. Earthly Jerusalem and heavenly Jerusalem; the one, visible filled with memories of lamentation and mourning; the other, intangible, promising peace and harmony. The two meet in those who place their faith and fervor in memory. When the Roman legions, under the command of the wicked general Titus, prepared to ransack and burn the Temple, four angels descended from heaven and set fire to it, as though to demonstrate the impotence of the enemy when attacking God's city. Then, some young priests emerged from the burning sanctuary, climbed to the roof and addressed the Master of the Universe: "We have been unable to safeguard your dwelling, and so we return its keys to You." 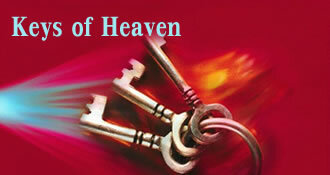 Whereupon they threw the keys toward heaven. And a hand of fire appeared, seized the keys and carried them away. There was a time when I blamed those young priests: why give back those precious, sanctified keys? I would have preferred a more provocative language: "God of Abraham, Isaac and Jacob, You are free to renounce Your sanctuary, sacrifice Your servants and do without Your people. But the keys are ours, they are our memories, and we are determined to keep them." I remember: it was night. Hungarian Jews in the hundreds and thousands had just disembarked in a weird and accursed kingdom dominated by barbed wire, barking dogs, short commands, demented cries. Men, women and children torn from every land, bearers of every name in Jewish history, representing every facet of the Diaspora - I saw them converge on this place, and suddenly, in what I thought was a dream, a shattering idea crossed my mind: This is a moment of redemption and Kibbutz Galuyot, the Ingathering of Exiles. Gone, the time of torment: gone, the era of darkness. The Third Temple, built in flames, was about to receive those who believed in its power to resist destruction. In a crazy way, for a fleeting instant, I wanted to laugh. Now I can die, I thought in my dream, we can all die, happy and at peace. In Jerusalem. Then we all awoke to reality. We found ourselves in a place that will forever represent whatever Jerusalem is not: the unholy side of humanity, the destructive urge of man, the ugly hatred of those who replaced God with their own idols. That evening I thought I was delirious, so overwhelmed was my imagination by the unexpectedness, by the dynamic impact of what I was witnessing. The event began at dusk. Suddenly the center of the capital shifted from Red Square to dusty Arkhipova street to the alley next to the synagogue. For thousands and thousands of Jewish youngsters that hour, every road led to the same place. College students and laborers, soldiers and musicians, they arrived alone or in small groups, at first hesitant then elated, hair tousled by the wind, balalaikas swung over their shoulders. They came not only from Russia but also from Saragossa in Spain and York in England and Fez in Morocco. Wary but proud as they mingled with the crowd, they were greeted with shouts: "Long live this day, hurrah! Long live the Jewish people, hurrah!" Caught in the frenzy of the dance, they seemed to float on air, transfigured, torn from their shadows, rising above the present, as though climbing Jacob's ladder, the one that reaches into the seventh heaven and perhaps higher still. I had not felt so strong in a long time, nor so proud. Before the courageous and valiant political dissidents, these youngsters dared to brave the brutality of the Kremlin and its secret police by claiming their kinship with the Jewish people everywhere. Watching them, I let myself drift into the past, into the future, into the clouds; luminous waves carried me to a unique place where words became songs: Jerusalem. The fighting was still going on at various fronts. Snipers were everywhere. But this did not prevent people in mystical ecstasy from running toward the Old City which had been inaccessible to all Jews while it was still under Jordanian rule. Warriors and Talmudic scholars, hassidim and grocers, schoolchildren and old dreamers, survivors of every hell, faces of every destiny - I saw them breathlessly running, almost flying, toward the winding alleys, the barricaded buildings, running to meet the Wall. And there, incredulous and awed, like children afraid to wake up, they all came to an abrupt halt. Then somebody began to weep, others to pray, still others to dance. The entire country danced. Jewish history danced. Bursting with joy and gratitude for the privilege of witnessing that moment, I thought: That is Jerusalem, the place that pulls all Jews together, the true city of eternal longing and promise. Never shall I forget that image, that scene, that day. What would my work and my life be without them? Elie Wiesel received the Nobel Peace Prize in 1986 as "a messenger to mankind ... of peace and atonement and human dignity." He is Andrew Mellon Professor in the Humanities at Boston University and the author of more than 30 books.